The Customer's attention is particularly drawn to the provisions of clause 8. Order: the Customer's order for the supply of Goods or the Customer's written acceptance of the Supplier's quotation as the case may be. 2. Supplier: The Mad Group (HQ) Limited, incorporated and registered in England and Wales with company number 00188425 whose registered office is at 430 Enterprise Way, Vale Park, Evesham, Worcestershire WR11 1AD with the exception of Align-Pilates equipment which is supplied by Align-Pilates Equipment Limited and fulfilled by The Mad Group (HQ) Limited on its behalf. 2.4 The Contract constitutes the entire agreement between the parties. The Customer acknowledges that it has not relied on any statement, promise, representation, assurance or warranty made or given by or on behalf of the Supplier which is not set out in the Contract. Any samples, drawings, descriptive matter or advertising issued by the Supplier and any descriptions of the Goods or illustrations or descriptions of the Services contained in the Supplier's catalogues or brochures are issued or published for the sole purpose of giving an approximate idea of the Goods described in them. They shall not form part of the Contract or have any contractual force. (c) the Customer (if asked to do so by the Supplier) returns such Goods to the Supplier's place of business using the Freepost label supplied upon request unless it is deemed too large for Royal Mail in which case the Supplier shall arrange collection. However if the Goods are found to be not faulty a charge will be made for the collection cost. the Supplier shall, at its sale option, repair or replace the defective Goods, or refund the price of the defective Goods in full. 7.1 The price for Goods shall be the price set out in the Order or, if no price is quoted, the price set out in the Supplier's published price list as at the date of delivery. 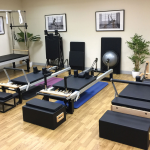 7.2 Unless specifically stated otherwise, Orders are quoted with £3.50 carriage for delivery within mainland UK with the exception of Pilates Studio equipment which will be determined by quotation. A party (receiving party) shall keep in strict confidence all technical or commercial know-how, specifications, inventions, processes or initiatives which are of a confidential nature and have been disclosed to the receiving party by the other party (disclosing party), its employees, agents or subcontractors, and any other confidential information concerning the disclosing party's business, its products and services which the receiving party may obtain. The receiving party shall only disclose such confidential information to those of its employees, agents and subcontractors who need to know it for the purpose of discharging the receiving party's obligations under the Contract, and shall ensure that such employees, agents and subcontractors comply with the obligations set out in this clause as though they were a party to the Contract. The receiving party may also disclose such of the disclosing party's confidential information as is required to be disclosed by law, any governmental or regulatory authority or by a court of competent jurisdiction. This clause 8 shall survive termination of the Contract. (b) the Supplier's total liability to the Customer in respect of all other losses arising under or in connection with the Contract, whether in contract, tort (including negligence), breach of statutory duty, or otherwise, shall in no circumstances exceed the price of the Goods and Services supplied. Except as provided below the Customer has the right to cancel the order for goods the moment the order is placed and ends 14 days from the day they receive the goods. The Customer can do this by completing the cancellation form in Appendix 1 but they are not obliged to do so. 10.3 The Customer must return the goods at their own cost within 14 days of cancelling the order. For larger items the Customer can request that the Supplier to collect the goods (mainland UK only). 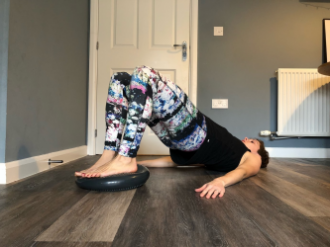 In the event of the Supplier collecting the goods a carriage charge of £11.50 (with the exception of Pilates Studio equipment which will be determined by quotation) will be deducted from the refund due to the customer. 10.4 The Supplier will refund the customer within 14 days of either receiving the goods back, or the customer providing evidence of having returned the goods (for example, a proof of postage receipt from the post office), whichever is the sooner. (b) A notice or other communication shall be deemed to have been received:if delivered personally, when left at the address referred to in clause 9.2(a); if sent by pre-paid first class post or other next working day delivery service, at 10.00 am on the second Business Day after posting; if delivered by commercial courier, on the date and at the time that the courier's delivery receipt is signed; or, if sent by fax or e-mail, one Business Day after transmission. Please note we do have a number of international distributors, which may suit your purchasing needs better. For any enquiries into our international distributors please contact us at [email protected] or see our International Distributor page. Fitness-Mad and its employees make no claim as to the benefits arising from the use of Yoga and Fitness props and this site is in no way intended as a guide on how to practice yoga or how to use yoga props. Fitness-Mad products are used entirely at your own risk. Our staff are not medically trained and we advise that you always consult a qualified fitness professional or teacher (or where appropriate a medical practitioner) before using our equipment. Fitness-Mad will not be liable for consequential loses caused by the use of any of the products on this web site howsoever arising. By placing your order you are offering to buy the goods and permitting us to use your personal details for the purposes of supplying goods (including passing your details onto couriers and other subcontractors). We will not use your details for other purposes other than those stated in our Privacy Statement - below, without asking your consent and you may request that your details are removed from our system by writing to the address above. To see stock availability you must click on VIEW DETAILS of an item. The stock levels on the site are updated every 10 minutes. This allows you to check the current stock status and see when out of stock items are due back in with a high degree of accuracy. In addition our stock level descriptions are variable, so GOOD stock for one product may be 100+, whereas for high value slow moving lines GOOD stock may be 2-5.Please note that due to the small time delay it is possible that an item/s that was showing as in stock when you added it to the basket may be out of stock by the time the transaction completes. In this unlikely circumstance we will email you with the details of when you can expect your item. If you no longer wish to proceed with your order, we will arrange a full refund for the items concerned. Fitness-Mad accept PayPal*, Visa, MasterCard, Maestro and debit cards and uses a secure payment system. Payment can be made and will be charged accordingly in £ Sterling, US Dollars or Euros according to your preference. Cheques can be mailed to us made payable to The Mad Group (HQ) Ltd - please print out your order and send with payment. Please allow seven working days for cheque clearance. *If paying by PayPal please make an instant payment if you use PayPal cheques we will have to wait for payment to clear (can be 7 days or more) before we dispatch your order. The prices shown on the product pages include UK VAT (ex-VAT prices are in brackets), (where applicable) at a rate of 20% (VAT No. 164182414 ). VAT is added automatically in the shopping basket for UK & EU customers (EU customers with a valid EU VAT number can enter their VAT number at check out and will not be charged VAT). VAT will be deducted for orders placed from outside the EU. Local Taxes & Duties for those outside the EU are the responsibility of the shopper or recipient in the country of destination. Deliveries within the UK, excluding The Islands is mainly delivered by 2-3 day "signed for" courier service using FedEx, though small items are sometimes sent by the Royal Mail. Goods ordered before 12pm (GMT) will normally be processed and dispatched the same day. Occasionally we may deliver the goods in several consignments but if this is the case we will not charge any extra delivery for this. If we have not delivered the goods within 30 days of expected delivery then you may cancel the contract. We will refund any money paid by you. Please see the Delivery Section for full details and charges. Your satisfaction is essential to our success. If you are unhappy with any of our products we will refund any unused items so long as you return them to us at your expense, in a saleable condition (this means unused and with all packaging intact - we do not accept the return of CD’s or DVD’s unless they are faulty) within 30 days of purchase. Please email us for approval before returning any goods (see our returns page for more information). For larger items it may be more convenient for you if we arrange collection (mainland UK only), if this is the case please call us on 01386 425 920 to make arrangements. The cost of collection is £13.80 inc VAT with DPD if collected from your address, or £5.62 inc VAT if collected from a pickup shop. 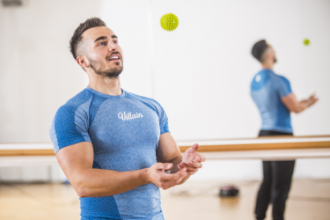 Please note for Align-Pilates equipment the returns process is different and may incur a larger return fee depending on the size of the item needing to be returned. 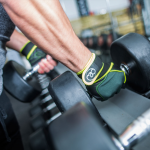 Whilst every effort has been made to ensure that the information contained on this website and in our catalogues is accurate and up to date, Fitness-Mad cannot be held liable for any errors, omissions or price changes. Due to continuous product development specifications, colours may vary. 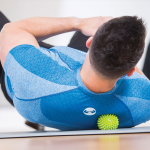 Fitness-Mad, Yoga-Mad & Pilates-Mad products are available through independent Sports Retailers, Health Clubs, Yoga and Pilates Studios. If you would like to open a Trade account, that will enable you to shop online or by phone at Trade Prices, and you fit in to one of the categories above, then please complete our online account application here. Please note that Trade prices are only available on Yoga-Mad, Fitness-Mad or Pilates-Mad branded products.